The Midori World Meister’s Note series features collaborations between Japan and other countries. 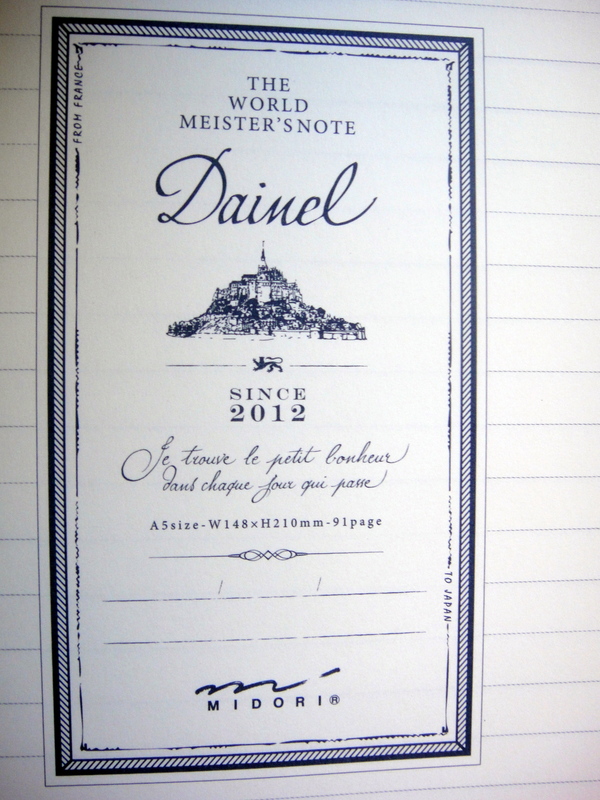 The Dainel is the first in the series which Midori describes as ” A marriage of French leather paper and Japan’s MD paper, developed for the best writing comfort”. The color of the cover is a bit more brown and less grey than the picture shows. 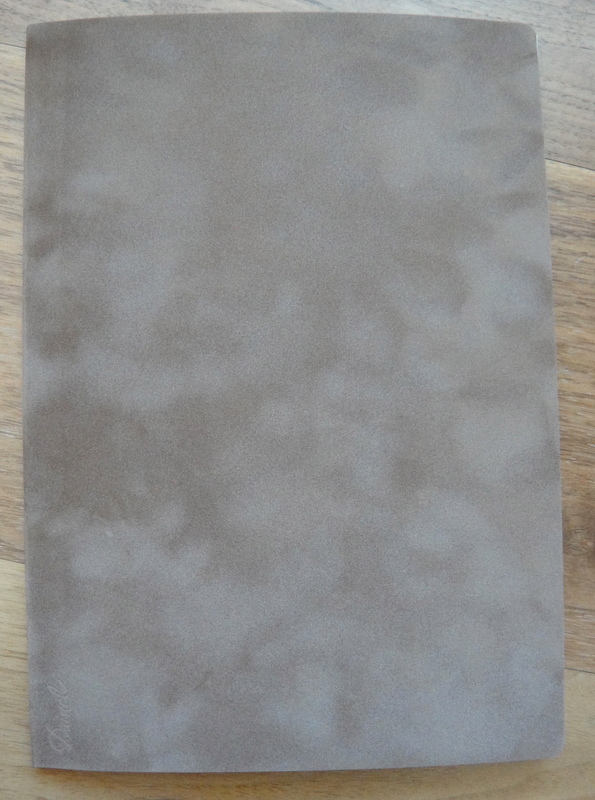 To me the cover looks a bit like suede but I was disappointed when I touched it; it feels like a mediocre felt. The more I use the notebook the more I like the cover; it is a lot nicer than a paper cover but it certainly isn’t leather. 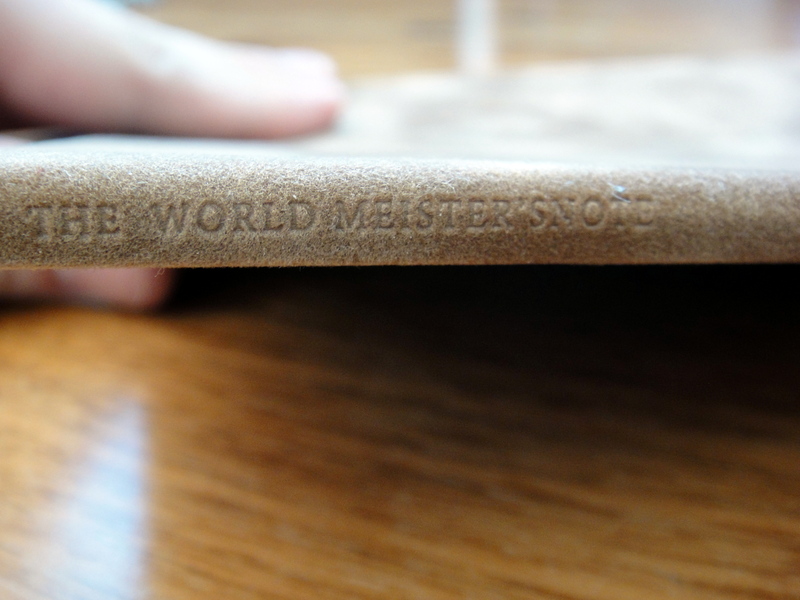 The cover has “Dainel” pressed into the front of the cover and “The World Meister’s Note” pressed into the spine. This cover is the light brown color and I believe they come in four or five other colors. 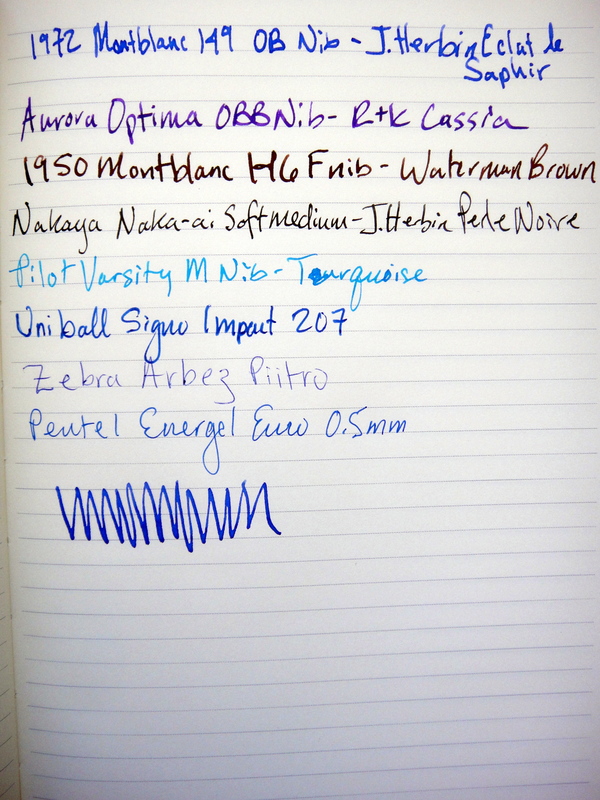 This notebook is extremely well made and dare I say, better than anything else I have seen in its price range. 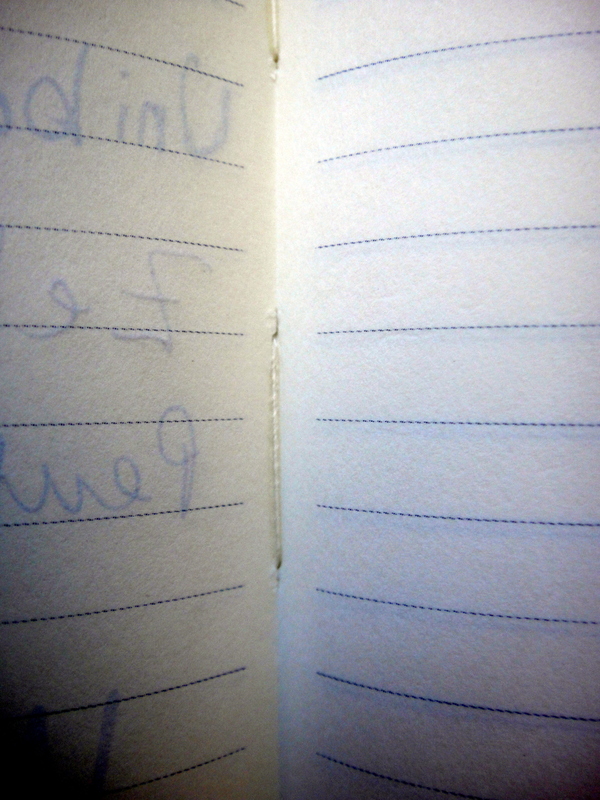 The notebook is nicely stitched this notebook lays flat. 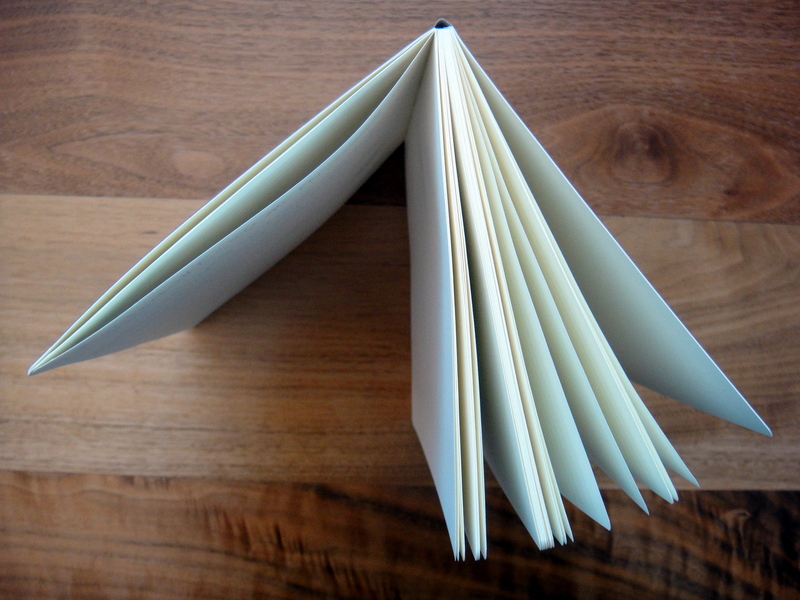 The inside of the notebook features 91 A5 pages of Midori’s exceptional cream colored MD paper which holds fountain pen ink beautifully. There is no bleed through even with juicy pens and almost no feathering. 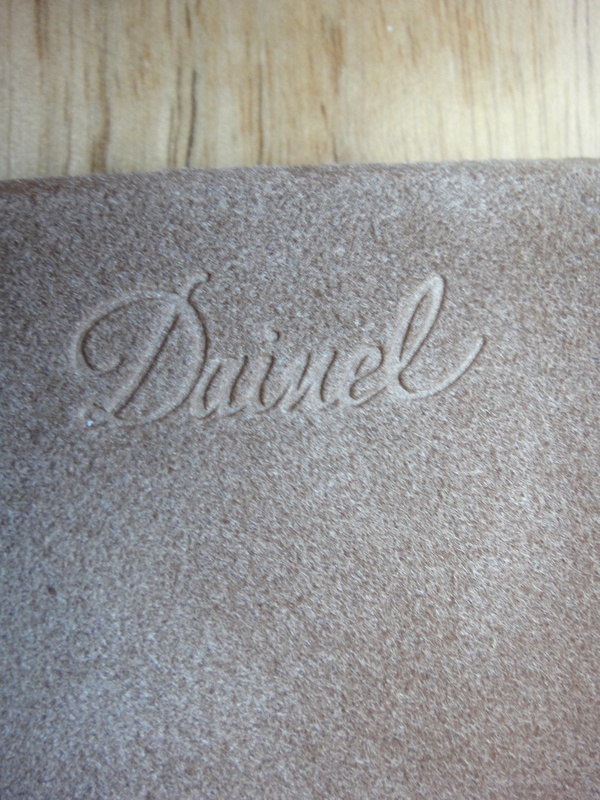 It’s a 91 page notebook because the first page has this logo printed on it. No bleed through and minor ghosting. 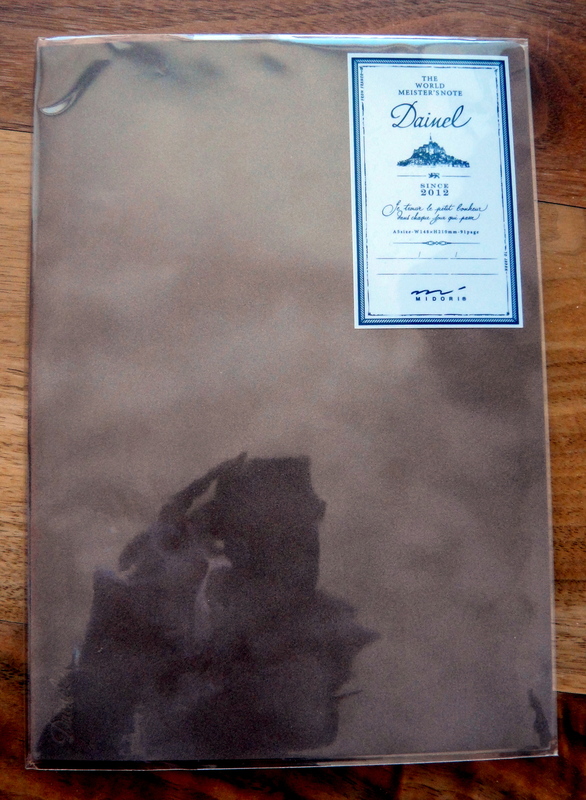 At around $13 this notebook is not cheap but the combination of the quality and the branding make it a winner. I look forward to getting my hands on the other notebooks in this series; I believe they are up to volume 3. It looks swell. 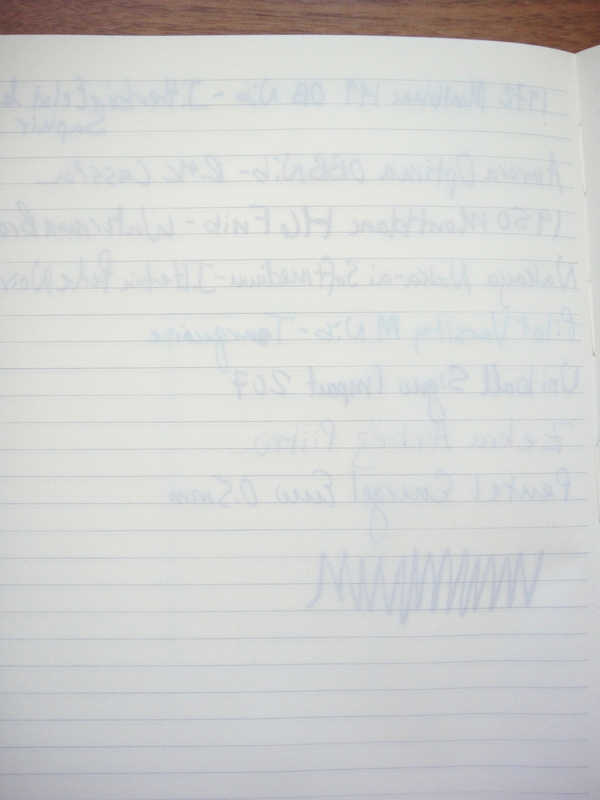 The showthrough, is it bad enough to put you off from writing on both sides of the page? Thank you for your comment! The showthrough is not bad at all. I have been writing on both sides of the page with no problem. 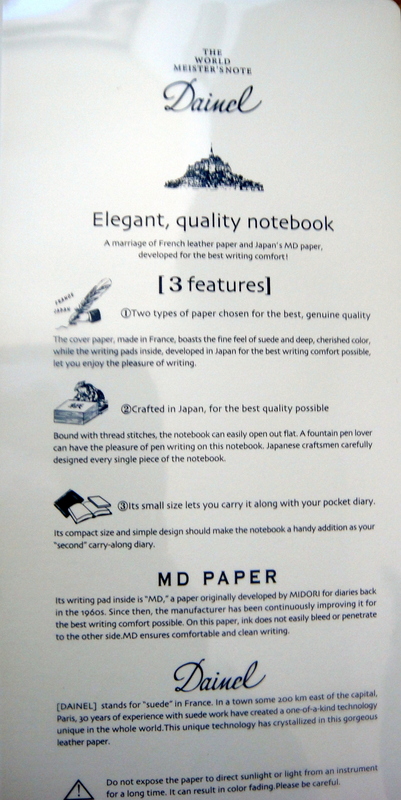 Midori’s MD paper was designed to hold fountain pen ink.